Concierge (C): Thayne-san, today we’ve come to the Yoshitoku doll shop in Asakusabashi. This is an old shop that was established in 1711. The current proprietor is the 12th generation. Thayne (T): I have a daughter, so I’m familiar with the name Yoshitoku. They’re also famous for that commercial with a song, aren’t they? Yamada (Y): Hello, I’m Tokubei Yamada of Yoshitoku. T: Hello, Yamada-san. 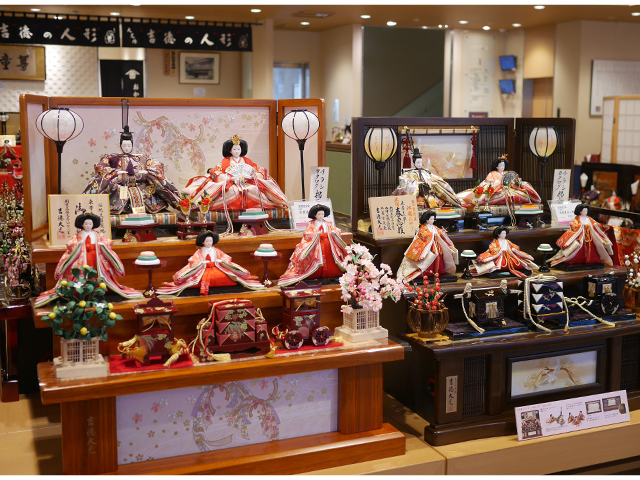 Wow, at this time of year (January) the store is full of Hina dolls. What a sight! Has this store specialized in dolls since its establishment in the Edo Period? Y: Our founder came from the Chita Peninsula in present-day Aichi Prefecture. He came to Edo and opened the store here, but at that time we didn’t just have dolls. We also sold things like toys and fans. The old Nikko Kaido and Oshu Kaido routes both started from Asakusabashi, and it’s also the point where the Kanda River flows into the Sumida River, so it was an important location for transport. It was also on the way to Asakusa Kannon (Senso-ji Temple), and that’s why it was referred to as the “Gateway to Asakusa.” In the morning, when the gates were opened, there would be a rush of people heading to the temple. T: It was the ideal location for a shop. Y: We were very fortunate. We eventually started trading as a wholesaler . We were even given the name Yoshinoya by the sixth shogun, Tokugawa Ienobu. Starting from our own sixth-generation proprietor, we have all used the name Tokubei, continuing even today. T: Your trading name Yoshitoku actually refers to Tokubei of Yoshinoya, doesn’t it? Y: That’s right. Also, throughout both the Meiji and Taisho periods we traded in toys along with dolls, but, after the 1923 Great Kanto earthquake, we switched to specializing in dolls. 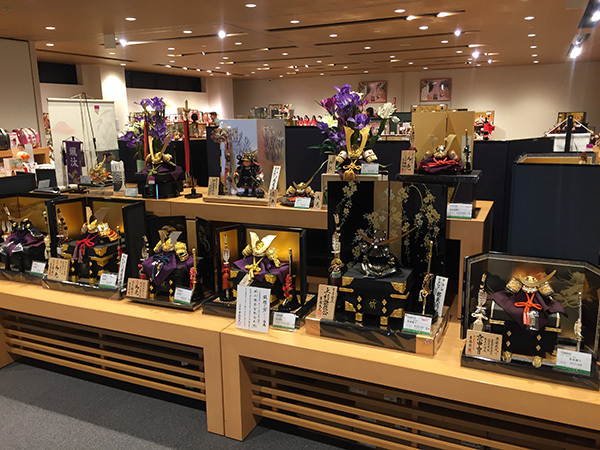 Today, dolls for seasonal festivals such as the Hinamatsuri Festival and the Boys’ Day Festival make up 80 percent of our sales, while the other 20 percent is things like animal or character stuffed toys. C: There’s Anpanman, Peter Rabbit, Snoopy and even the Yomiuri Giants’ mascot Giabbit — you certainly deal in a lot of different items. But of course, the name Yoshitoku always brings to mind Hina dolls! Y: Thank you. 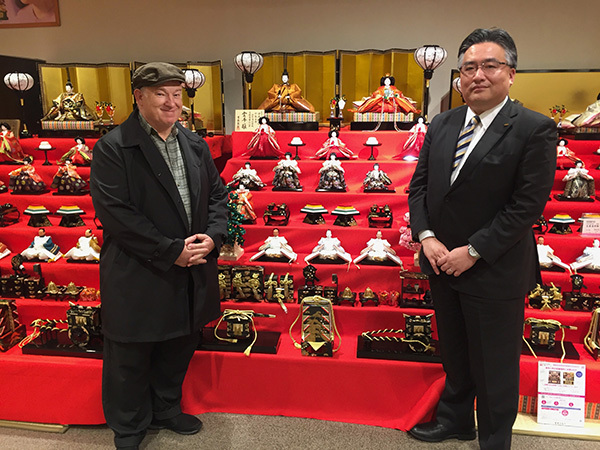 Thayne-san, what do you think is the purpose of Hina dolls and the traditional doll displays? T: It’s to celebrate the birth of a girl, and then to give to her, right? Y: That’s exactly right. However, to be a little more specific, Hina dolls are in fact a stand-in for the girl herself, as a way of inheriting her misfortunes. The roots of Hina dolls actually come from a practice called “hito-gata,” where people would make human figures out of paper and straw, and rub the figures’ bodies to transfer all their impurities to the doll. And finally they would let the doll away in water. In other words, Hina dolls are entrusted with taking on any misfortunes or impurities that may befall the girl. Therefore, once the girl safely reaches adulthood, the role of the doll is fulfilled. T: Wow, I didn’t know that! C: So, that means that if another daughter were born after the first girl, it would be necessary to get a second doll for her? Sharing one doll between two sisters, or a mother passing down a Hina doll to her child is actually bad, if we think about the original meaning. Y: Yes. There is supposed to be only one doll per person. T: I see. The world of Hina dolls really is interesting. Does just one person make an entire doll? Or are many artists involved in the process? Y: Hina dolls are generally made in sections. There are people who work on just the face, just the body, and then there are limb specialists who work on the arms and legs. Once the various accessories and clothing are also added, a Hina doll will have passed through an uncountable number of hands. T: Wow, I’m learning so much today. Do the dolls and koinobori carp streamers used in the Boys’ Day Festival also have an interesting history like that? Y: For the Boys’ Day Festival, the practice of warding off misfortune was introduced from China; however, in Japan it became an important ceremony for the shogunate during the Edo Period. Following the birth of a male successor, banners and decorative spears and helmets would be set up throughout the castle in a magnificent celebratory display. The commoners of Edo would imitate these celebrations by displaying elaborate miniature helmets and sets of armor and hanging banners outside their houses. This became the Boys’ Day Festival we all enjoy today. C: It’s so interesting that the commoners started imitating the ceremonies of the shogunate and the imperial court and ended up creating this new culture. Y: Indeed. However, while the three court ladies of the doll display represent court ladies from the Heian Period, the five court musicians represent the young sons of samurai families. Doesn’t the lack of unity seem strange? This is because the imperial court and the samurai class were worlds that the commoners had never glimpsed, and so they created them from their imaginations. The festival dolls are full of these fictional, liberal interpretations. T: That’s fascinating! We don’t have such a tradition of entrusting wishes and prayers to dolls in the US, so I knew nothing about this. Y: Don’t worry, there are many Japanese people who don’t know about this either. That’s why I feel that, rather than simply selling dolls, our mission should be to convey the importance of this long-standing family celebration. 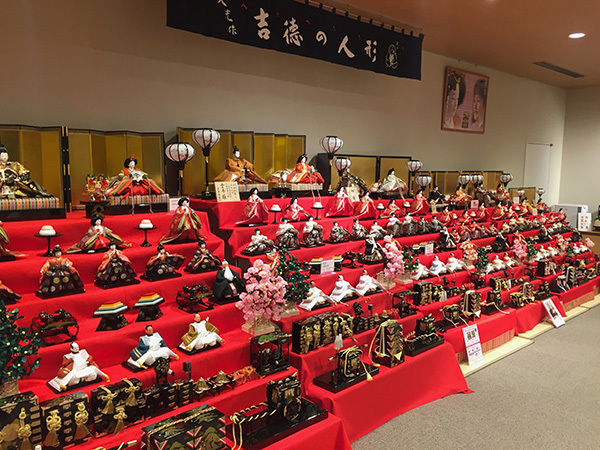 These days, the Hinamatsuri Festival and the Boys’ Day Festival seem to have evolved into lively events held at kindergartens or shopping centers, where everyone makes their wishes together. However, the origin of this important yet modest family celebration was to display dolls at home, and to make wishes and pray for one’s child. I feel like we need to further impart this message. 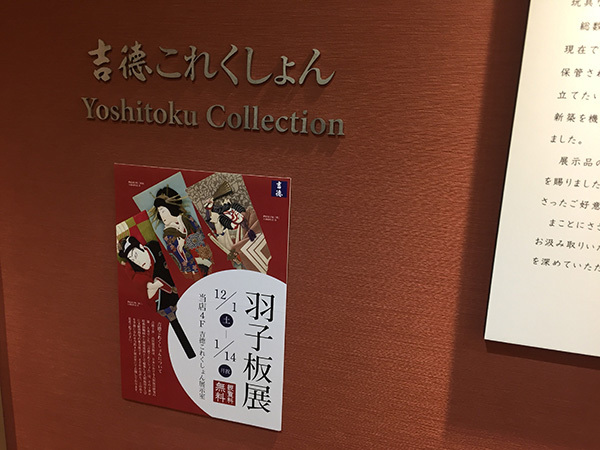 C: Thayne-san, on the fourth floor of this store is an exhibition room called Yoshitoku Collection where there is currently a free display of dolls and toys mainly collected by Yamada-san’s grandfather, who was a doll researcher and the 10th-generation proprietor. We can see old Hina dolls that show the evolution of the craft, Boys’ Festival dolls, imperial dolls and hagoita rackets as well as valuable historical items such as ukiyo-e paintings that depict dolls and toys. T: Let’s go take a look! I really learned a lot today. I need to go home and tell my daughter all about it.